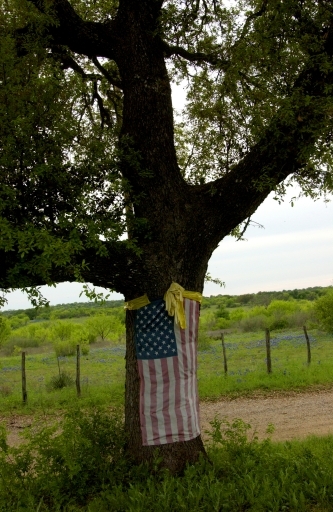 This April, 2004, off a road in Hill Country, I saw this faded memorial of unity and patriotism. The Live Oak tree looked like an anguished, mourning spirit. The flag looked like it was covering a wound, like a bandage.